Many international lotteries have now opened their doors to players based in India and to Indians living as expats abroad. Although gambling is often frowned upon in many areas of Indian society, it seems that buying lottery tickets in India doesn’t have the same stigma attached to it, even though it may also be considered a form of gambling. Below is a list of the top international lottery jackpots categorised by location. 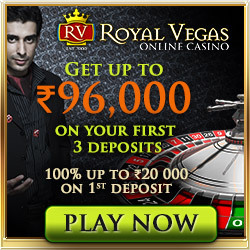 Click on any of the jackpot images to register and buy your lottery tickets online in India. For your convenience, you need register only once to enable yourself to buy tickets from any of the lotteries detailed below. For details on how to fund your lottery account after registering, please visit the online deposit methods page. 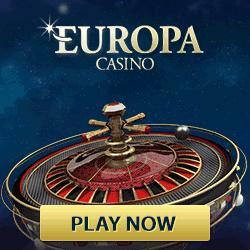 There are a number of famous European lotteries that players in India now have access to. The most popular of these by far, despite the jackpot rarely exceeding Â£30,000,000m is of course the UK lottery. Many Indian expats living in London and the like get used to purchasing UK lottery tickets online and are disappointed when they cannot do so from India when they choose to return. PlayUKLottery has now thankfully closed that gap and the UK lottery is proving very popular in India now too. Other European lotteries that have had sizeable jackpots over the last year or two are the Italian SuperEna lottery and the EuroMillions – both have had international jackpots in excess of 150,000,000 Euros – so if ever you wanted that personal castle in France… now is the time to try your luck! Other European lotteries that have more recently been made available to the international market are the French Loto, the Spanish El Gordo and the more generic EuroJackpot lottery. Also part of the BRICS group of countries, like India, Brazil offers a lottery that can be quite substantial. At present, the Brazilian MegaSena is the only South American/ Caribbean lottery available for players in India. Players need to pick 6 numbers ranging from 1 to 60 and the draws are held in Brazil every Wednesday and Saturday. As an aside, please note that the prices for these lottery tickets will be higher than buying the same ticket in the country itself. This is to cater for lotto ticket administration and additional service costs like notification of winning numbers by email or sms etc. Thanks and OCI wishes you the best of luck in picking your lucky numbers in any of the international lottery games above. If playing international lotteries online is more your cup of tea, then you might want to check out the website below, or visit OCI's own buy lottery tickets online in India page.